Today we’re taking a break from talking about DIY. I know…I know… You’re totally loving following along with my Outdoor Overhaul Patio Makeover Challenge updates, right? 😉 I’m alllllmost done! More on that later this week! 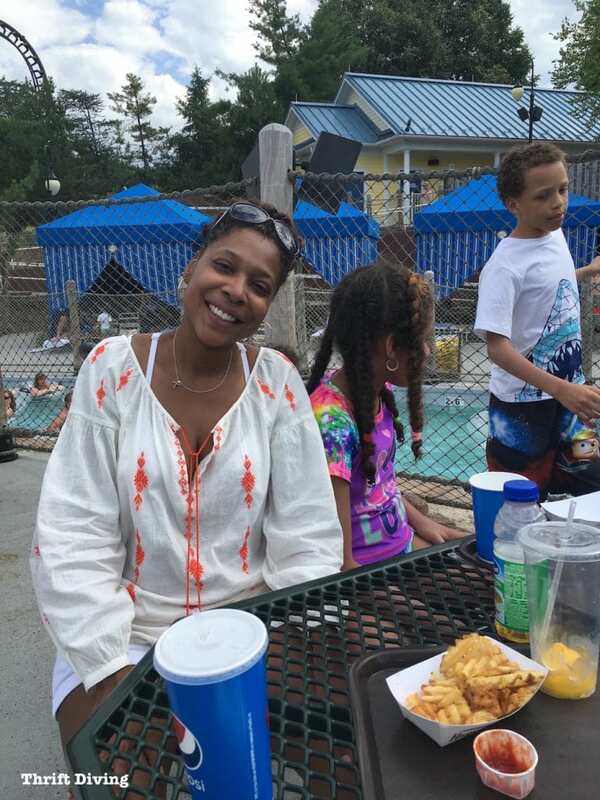 But I wanted to share the other side of my Thrift Diving summer: saving money on summer vacations, especially at amusement parks! I don’t talk much about other things my family does in our spare time (outside of DIY), but it’s good to share the personal stuff, because often times, there are money-saving tips that I like to pass along to you guys! Plus, it’s just fun to take a break from all the DIY stuff and just talk about my family and friends, especially the fun we’ve been having this summer! 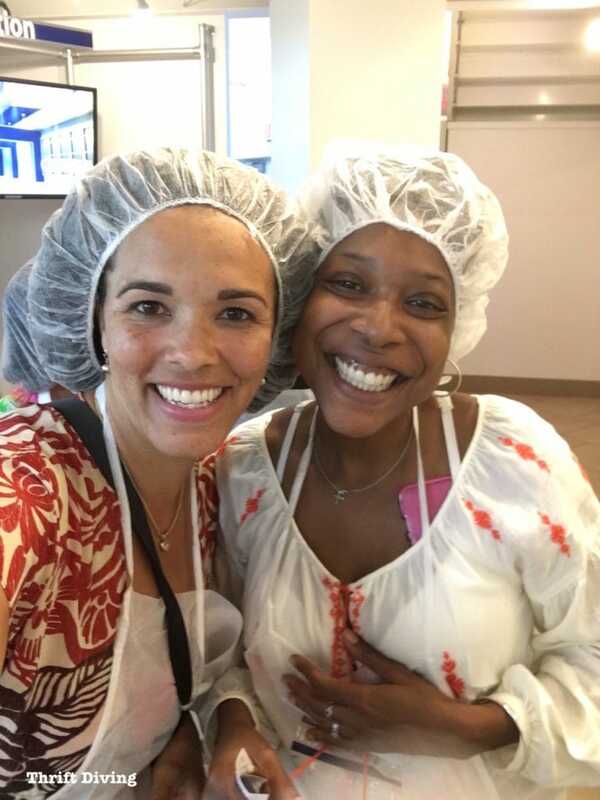 Not only did we go to The Outer Banks of North Carolina with family, which was sooooo relaxing and fun, but we finally got to spend some time with one of my best friends for the past 20 years! (Yes, her name is actually Morning! Great name, huh??). No, we’re not in the labor and delivery room. HA! You’d think we were with those silly caps on! 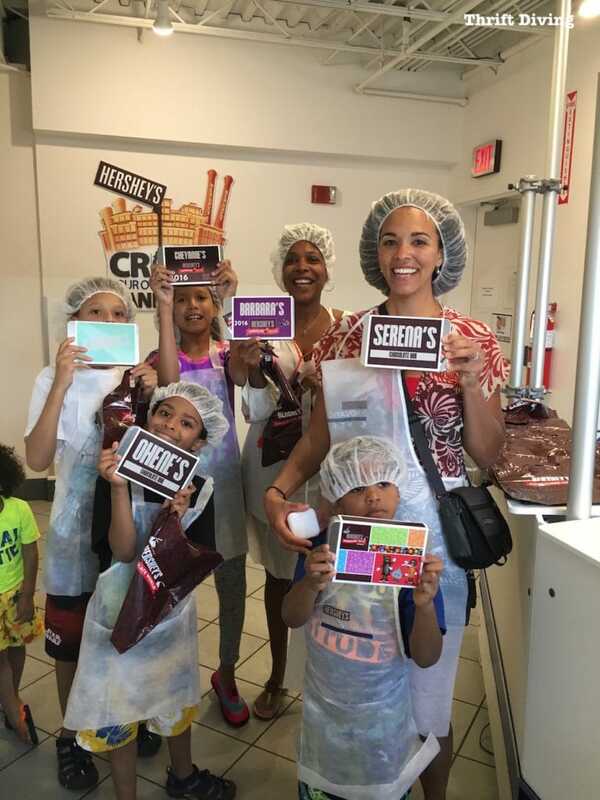 We were actually at Hershey Park with our kids, making our own chocolate, where you get to put your name on your wrapper and customize your toppings. The kids loved it! Morning and I have been friends for 20 years since graduating from the University of Maryland. We’ve developed this sort of tradition since having kids (our oldest kids are only 3 weeks apart!!) where we meet up at amusement parks. When we started this tradition, we only had one kid each. Since that time, we’ve gone on to have more…and more…and more…and now it’s hard to believe we’ve got 5 kids combined! As you can imagine, getting two adults and five kids together isn’t cheap. The last time I saw Morning and her kids, we tackled the December Christmas crowds at Disney, dropping several thousand dollars. There’s no way we could do that again anytime soon! So this year, we wanted to do something a bit closer and less expensive. 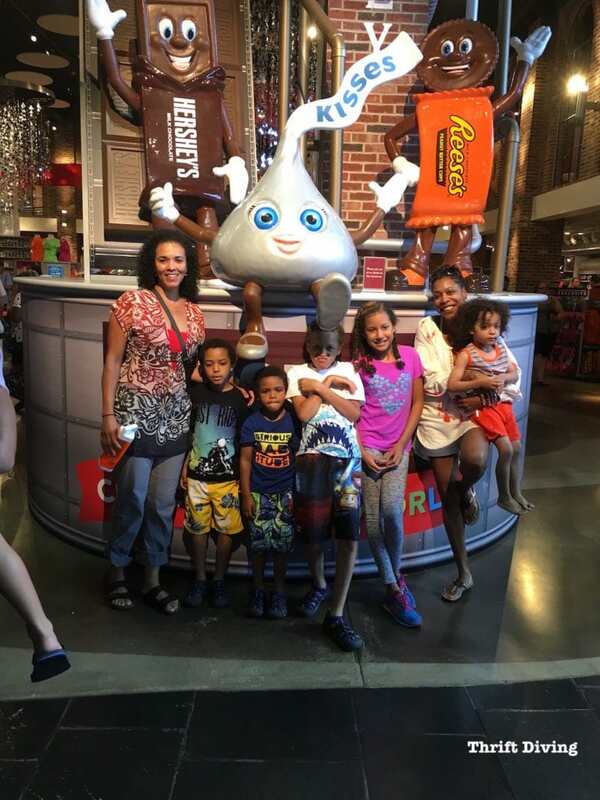 We knew that Hershey Park would be a great meet-up spot and not as expensive and overwhelming as Disney! Hershey Park is only 2 hours from me, and about 3-4 hours for her, via train. 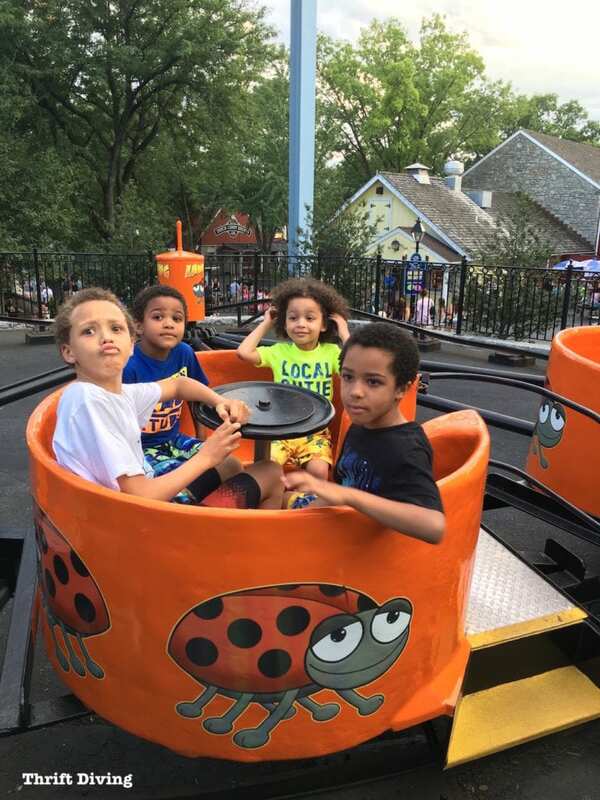 I wanted to share some money-saving tips with you in case you’re still planning to hit an amusement park while summer is still here. Plus, I wanted to share some of the awesome pictures from our trip! I’m super excited that we got to spend time together! TIP #1 – Looks Up Discount Tickets on Park Admissions! Many times grocery stores will have discount coupons to amusement parks close by. You’ll save more if you use the coupons and buy your tickets online before going, like saving $14 buying online versus saving $7 if you use the coupon at the door. Plan ahead and save, because amusement park tickets are not cheap!! At Hershey Park, an adult ticket is $62.95 and anyone over age 9 is considered an adult! Yep! Better use those coupons! You might also want to consider checking online saving sites, which often has 50% off deals to big amusement parks and even have deals on some of the activities you can do at amusement parks, like Make Your Own Chocolate tours and museum tours. TIP #2 – Bring Your Own Food in a Container or Cooler! After looking up ways to save money on park admission tickets, you know you have to consider the other budget breaker of the trip: buying food at the theme park! You could easily spend a couple of hundred dollars on food in one day while attending a theme park, not to mention that it won’t be as healthy as what you could bring yourself. Bring a cooler or two that’s easy to carry around. Bring your own water bottle. You may be able to get free refills of water at drink stations. Healthy is better than junky! Bring fresh-cut veggies like cherry tomatoes, carrots, and cucumbers; string cheese; whole or cut fruit, and applesauce. Don’t forget utensils! Bring non-refrigerated snacks. Things that won’t go back in the sun are things like trail mix, granola bars, and popcorn. Hershey Park may allow these things, especially if they’re in your purse or bottom of a stroller (though they do check bags, so just a head’s up!). 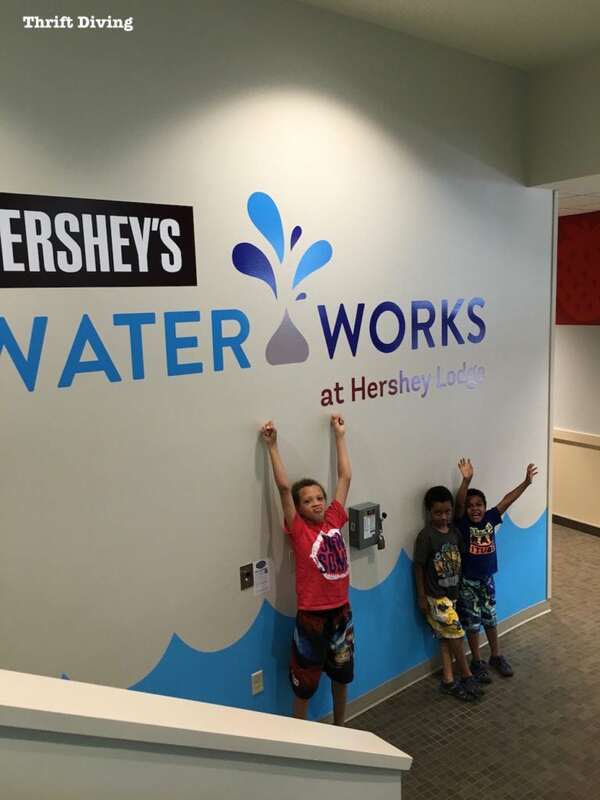 While at Hershey Park, we had to buy lunch and let me tell you–it could have been better. The fries weren’t very good. It would have been nice to bring out own food in! So be sure to check and see if you can bring in your own! 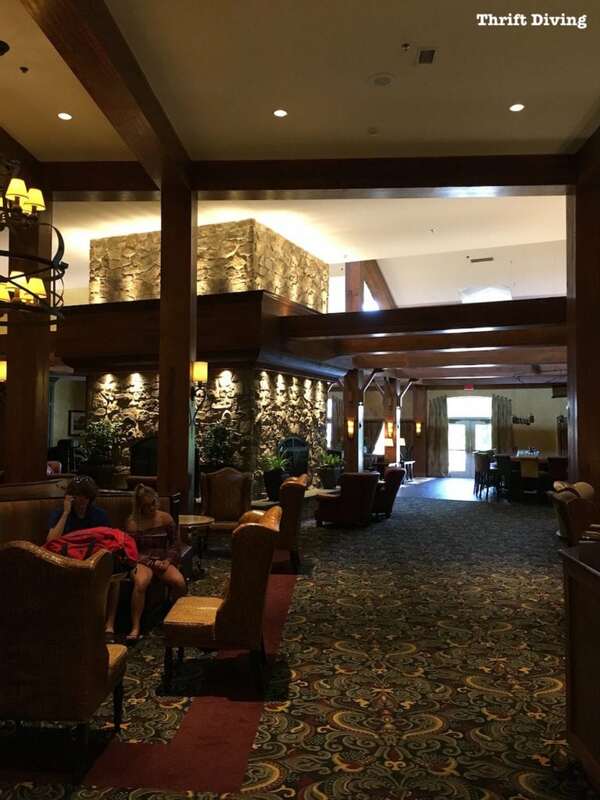 TIP #3 – Book a Family-Friendly Hotel! 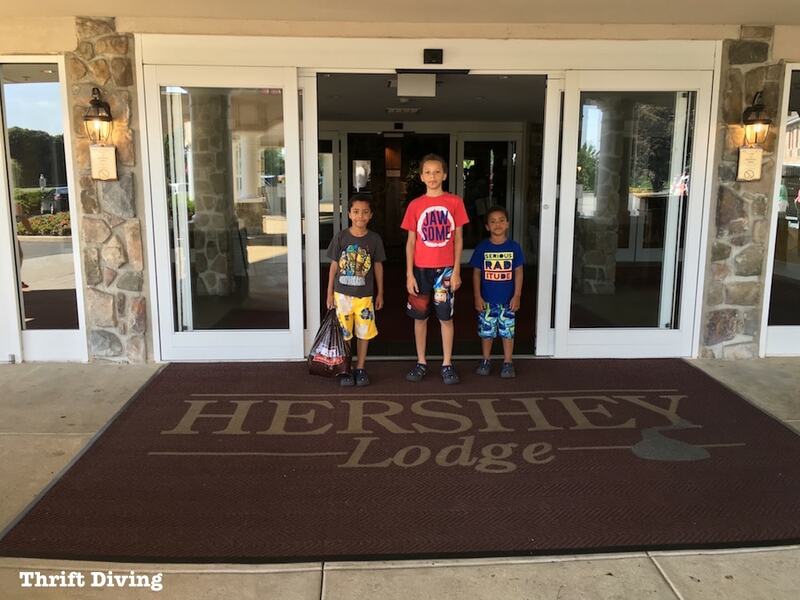 We stayed at the Hershey Lodge, which is the official hotels of Hershey Park! I was hesitant to book a room there because it was a bit more expensive than other local hotels (and I’m trying to save money, after all! ), but when you look at what they offered, it actually ends up being a good deal. To keep costs low, we only booked 1 night. I know…that may not sound like much of a vacation, but we did a lot that that time! We arrived on a Tuesday, checked in early (yay! ), and changed into our swim trunks and swimsuit. They had a shuttle which was only 10 minutes, which eliminated the need to drive and find parking! I loved that they had a shuttle all the way up until park closing time at 10 p.m.
Because of the awesome new pool that was just built this summer, our Day #2 was all about hanging out at the lodge and doing the “free” pool and indoor water slides and stuff! 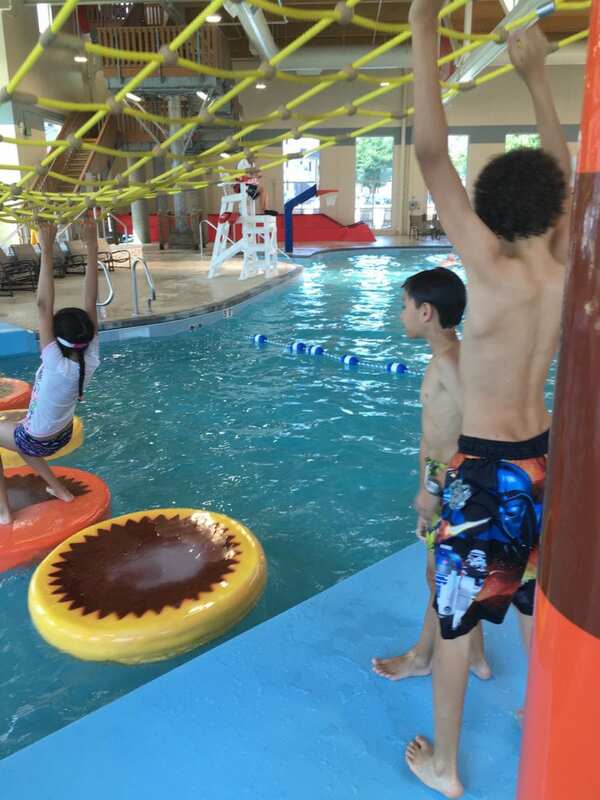 When you stay at a hotel like Hershey Lodge, even if just for a night, it’s easy to check your luggage at the concierge upon check-out and spend the entire second day of your trip having fun doing indoor activities at no extra cost. 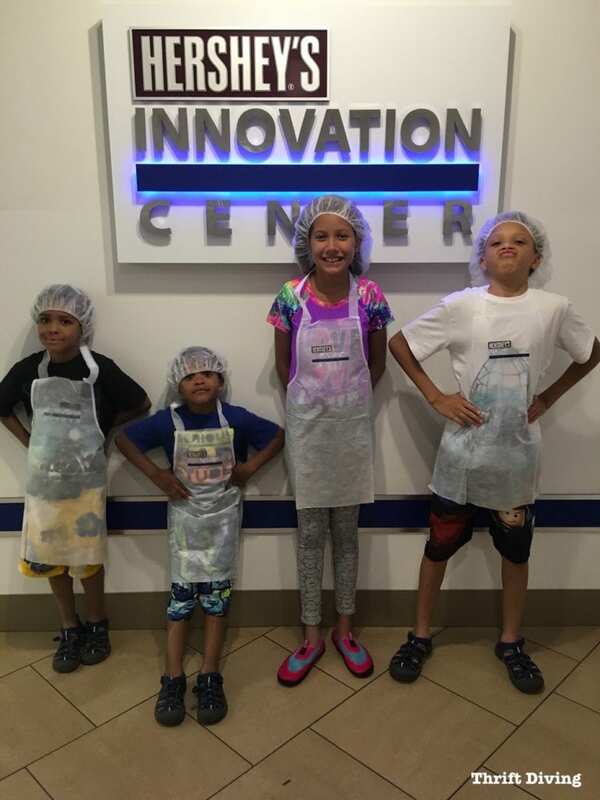 The kids are totally happy and feel like they get two great days of adventure even though you’ve only had to pay for one day! Of course, if you live locally, you could always do a day-trip, which would cut the cost of a hotel. But if you’re going for a “vacation” feel, even if for 1 day, book a room and really make it count! TIP #4 Visit the Amusement Park After Dark…or Go During the Week! Well, you don’t actually have to wait until it’s dark, per se. But did you know that you can buy discounted tickets if you buy them for admission at 4 p.m. or 5 p.m.? Considering that you’ll only get 4-5 hours of park time, it may or may not be a good idea. But from our experience at Hershey Park, spending the day there on Tuesday, the lines were short! And in the evening, there was literally a 5-minute wait on most big roller coasters. I couldn’t believe that! This was the ride that we absolutely loved! I was able to get Kwabena (my 10-year old) to get on, too! One of his first big coasters! Watch him take off here on the Storm Runner! That thing did zero to 72 MPH in only 2 seconds! It’s seriously good! I was so excited to have been able to see the joy on his face after he experienced it! And because the lines were….well, there weren’t any lines. 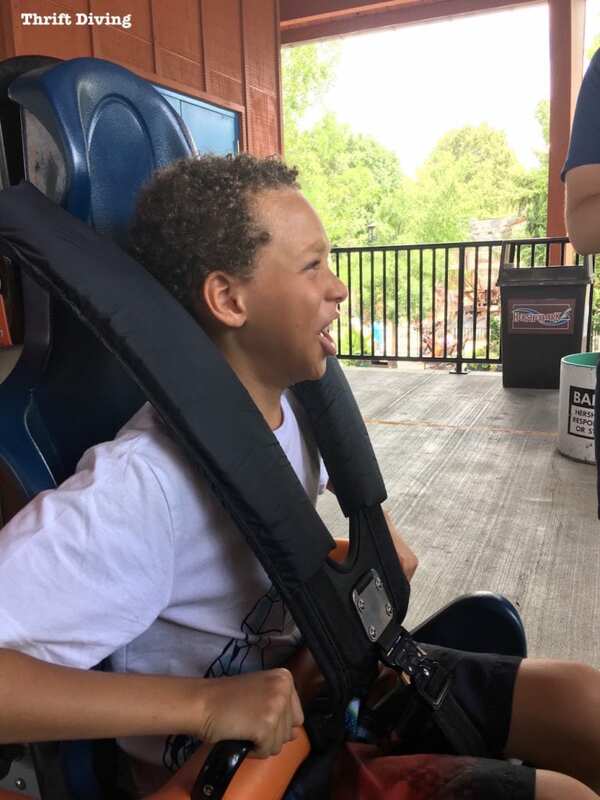 LOL…he was able to get in a bunch of big roller coasters, especially towards the end of the night. 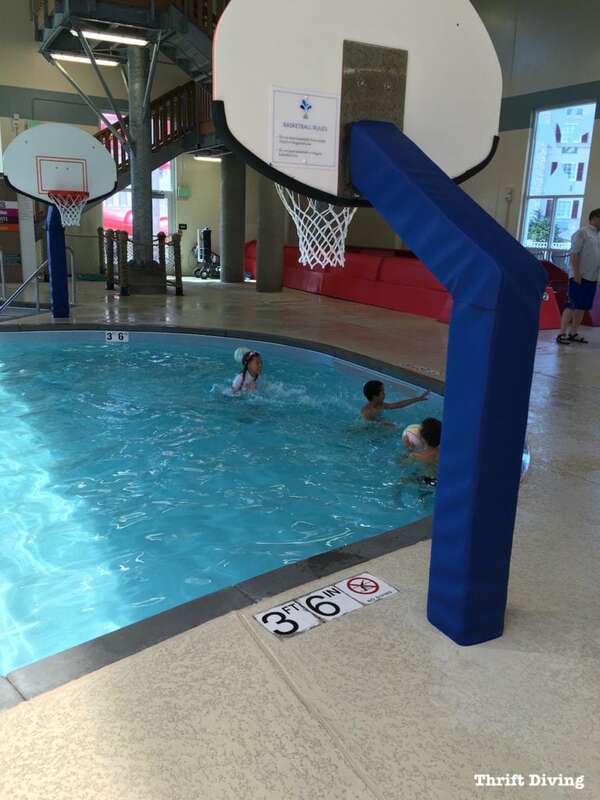 TIP #5 – Let the Kids Play Only One Game! As fun as the games can be for kids, we all know they’re a rip-off. You either lose (ahem–ring toss!) or you pay $10 to play for a cheapie stuffed animal that you’ll now have to carry around the amusement park. 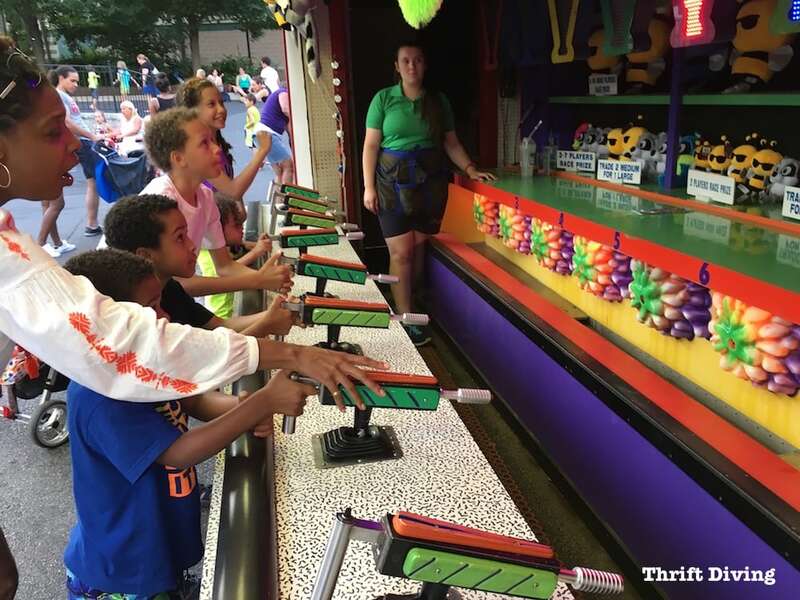 The kids whined about playing this water shooting race game, and don’t you know we had to play multiple times ($2.00 each play) just so each kid could win something. At $10 – $12 spent, there’s no way that we could make a habit of letting them play every game they saw! I was just saying recently that this has been the best summer in a long time! It was so good seeing our kids have fun together and sharing these moments with them! And you know I’m a picture-lover, so I snapped pictures of everything! 🙂 I want to remember it forever. It was sad saying goodbye when we dropped Morning and the kids off at the train station to head back to New York! But it also felt good that I hadn’t spent a ton of money for our mini-vacation! We’re already talking about where we’re going next year, and while we haven’t decided, I know that we’ll find something that is affordable with all these kids! The great thing about friends is that you can do pretty much anything together and still have a great time, right? « Is “Good Enough” Good Enough in DIY? Hershey Park? WoW! I live approx. 15 minutes from there in Harrisburg, PA. Serena, You could have saved even more ‘dinero’ by staying at my house (smile) for your mini-vacay. I LOVE the pics! Kids looked like they were having BIG fun! BTW, I just love your site! Of course I’m just a beginner DIY’er but I’ve certainly learned quite a bit from you. Thanks for sharing everything!!! I’m so glad you decided to go to Hershey! Did you drive around and see all the chocolate related things? Street names, Hershey Kiss shaped street lights, hotels, restaurants, chocolate everywhere! That’s why it’s my favorite place to visit. 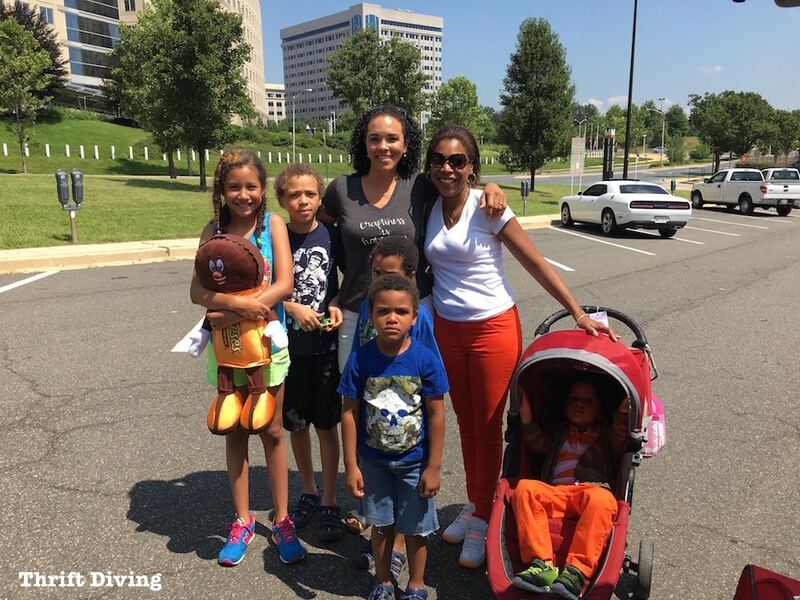 By the way, two little kids look unhappy to be leaving… lol! Hey, Zovesta! Wow, free tickets to state fairs?? I’d love that! We have one here called the Montgomery County Agriculture Fair and OMG, by the time you pay to get in, get “ride all day” passes, it’s a couple hundred dollars! It’s crazy! I think it’s actually coming up in a couple weeks. I’d like to take the kids, but I’d have to see how much we have to spend. Have fun at the fair when you go! This is my favorite time of year–summer!